Changes: Added the ability to test an FTP download. 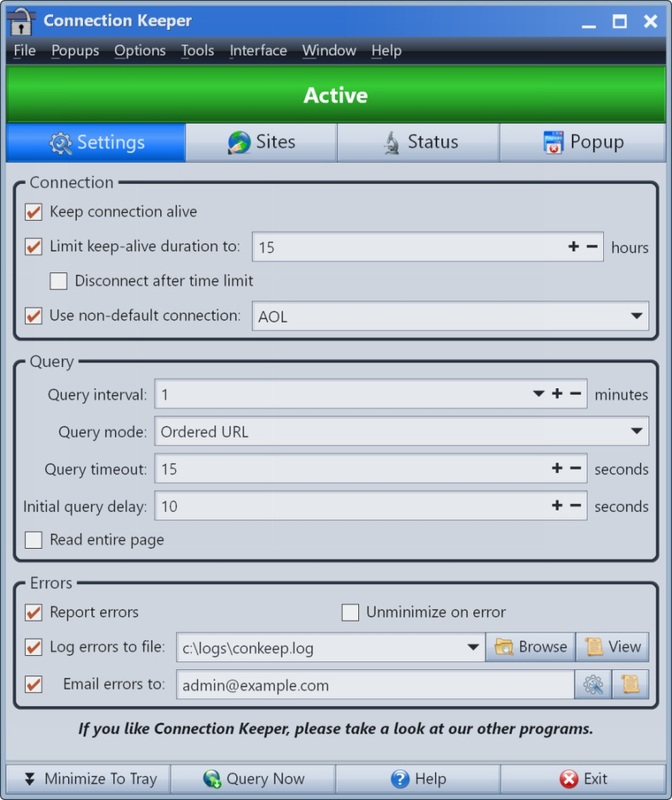 Because Connection Keeper is freeware, it is freely distributable so long as the following conditions are met: 1. You may only distribute the original, unmodified installation file (download it from the program's home page). However, you are permitted to rename the file. 2. You may not package the installer inside another installer or archive. 3. You must not represent that you own the software. END-USER LICENSE AGREEMENT IMPORTANT - PLEASE READ CAREFULLY: This End-User License Agreement ("EULA") for the software you have acquired ("Software") is a legal agreement between you ("Licensee") (either an individual or a single entity) and Gammadyne Corporation ("Licensor"). By installing, copying, or otherwise using the Software you agree to be bound by the terms of this EULA.